For 14 years, Steve and Meredith Whitman have sustained a marriage of passion and friendship - despite the demands of two all-consuming careers. Meredith, an investment banker, has achieved partnership in one of Wall Street's top firms. Steve, a gifted physician, chose an urban trauma ward over the big money he could have earned elsewhere. The only thing missing in their lives is children. Steve longs for them. But Meredith keeps putting motherhood off, saying she isnt quite ready, and doesn't have time. Not yet. Especially now that she has been offered an extraordinary opportunity, a chance to reach for the brass ring - in San Francisco, 3,000 miles away. Meredith is thrilled and surprised when Steve urges her to accept a top position in an exciting young high-tech company. Traditionally, men's careers force families to move to new cities, compelling their wives to abandon friends, homes, and lives to follow. But Steve is more than willing to uproot himself, saying he'll join her as soon as he can find a new job himself. Perhaps in California, he hopes, they can begin their family at last. Neither Steve nor Meredith had reckoned on the frustrations of a bi-coastal marriage, as Steve's job keeps him in New York for months longer than planned. Weekends together, their lifeline, fall prey to their hectic schedules. Alone in San Francisco, Meredith is spending long hours at the office with her boss, charismatic entrepeneur Callan Dow. Steve is working later shifts at the hospital, grabbing an occasional dinner with a new colleague, a doctor raising a daughter on her own. Almost unnoticed, Steve and Meredith have begun living separate lives in increasingly separate worlds. And despite the best of intentions, irresistible forces begin to tear their lives and hearts apart. 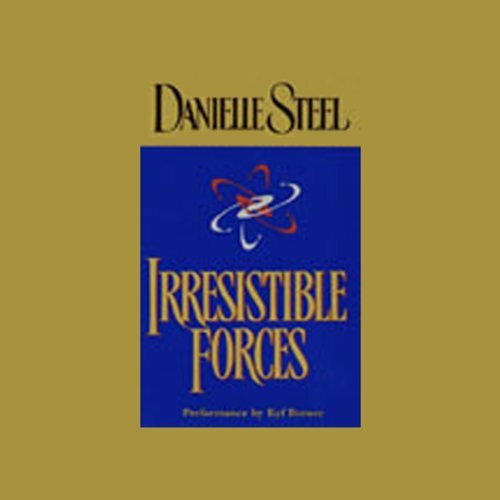 ©1999 by Danielle Steel (P)1999 by Random House, Inc. The storey was great. The reader waa also excellent. He read the parts of the different characters very well.